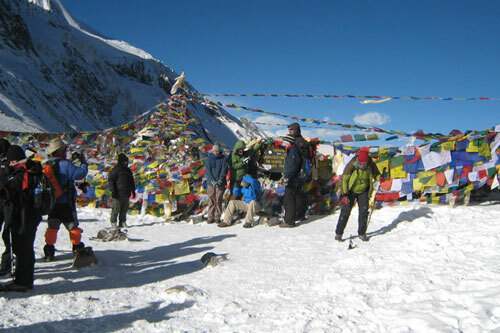 Annapurna Circuit trekking is one of the classic treks. 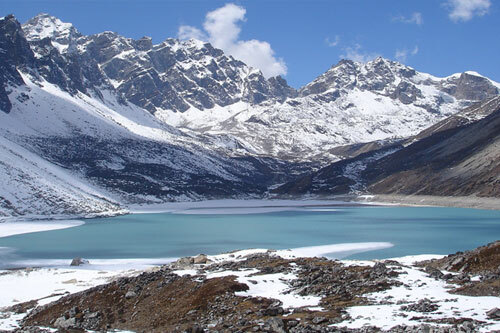 The trekking to this trail is one of the popular trekking trails in Nepal, ever since it was was opened in 1977, for foreigners. The region is rich in Scenarios including of snow-capped mountains, diverse culture and flora and faunas. 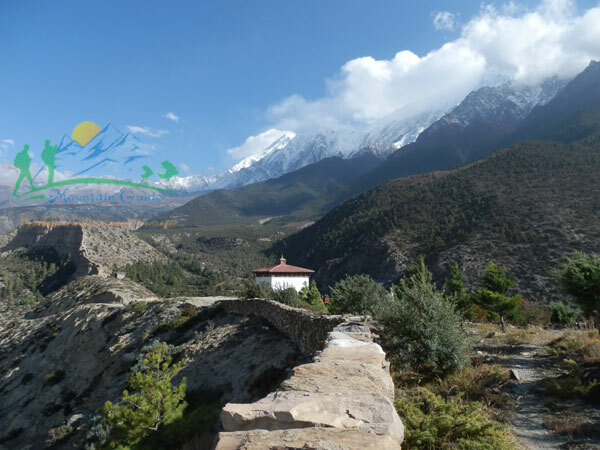 While having trekking to the Annapurna circuit you can see and enjoy with the panoramic scenes of Himalayas, including the Mt. Dhaulagiri 8167m, Mt. Annapurna I (8091m), Mt. Manaslu (8163), Mt. Annapurna II(7937m), Mt. Annapurna III(7555m), Mt. Annapurna IV (7525m), Mt. Annapurna south (7219m), Mt. Nilgiri (7041m), Mt. Fishtail also called Machhapuchhare(6998m), Mt. Hiunchuli (6441m), Mt. Lamjung Himal (6986m), Tukuche peak (6920m), Tilicho peak (7134m) among others. The trekking in the area has become the centre of attraction for many tourists, because this region is considered to be the rich in breathtaking scenes of mountains, diverse culture and lifestyle of people living in the areas and the flora and faunas. 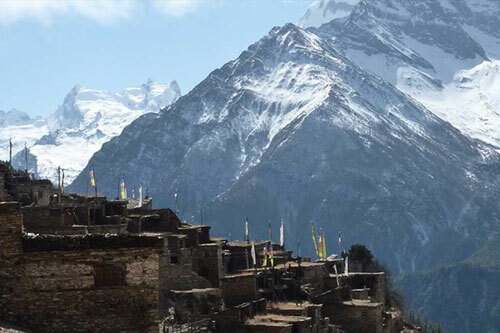 One of the features of this trekking route is that the higher you go up the more panoramic views of Manang village, forests and queuing hills you can see. The trail is rich in wild animals, where you can see various animals such as Mountain Thar or Goat, Leopards, Jackal, birds such as pheasant, long-tail birds among others. 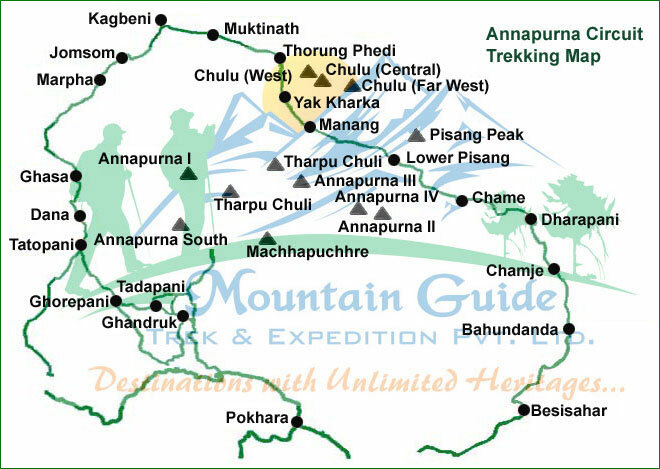 The circuit takes you around Annapurna Himal, following the courses of two mighty rivers - Marsyangdi in the east and the Kaligandaki in the west (the world’s deepest gorge, flanked by the giant Dhaulagiri and Annapurna Himalaya range). The trekking around Annapurna circuit begins from Ngadi or Jagat, some six hours drive from Kathmandu and we subsequently continue our trekking to Dharapani, Chame and we take circuit to Pisang or Manang (3540 m), from where we can have scenes of Gyaru village, Ngawal village, similarly the views of Annapurna II (7937m), III (7555m), IV (7525m), and Gangapurna (7455m) and we finally reach to Manang village and rest then we explore some of the areas lying around. Subsequently, next day, we head up to Ledar (4030m), Thorong Phedi via Thorong Pass (5416m) and Muktinath (3800 m) exploring of the area we head to Kagbeni (3100m) and Jomsom (2770m) and we catch airstrip and fly back to Kathmandu. Day 03: Drive Kathmandu to Syange / Jagat (1100m) 8-10 hrs. Day 04: Trek Syange / Jagat to Dharapani (1960m) 7-8 hrs. Day 05: Dharapani to Chame (2710m) 5-6 hrs. Day 06: Chame to Pisang (3300m) 5-6 hrs. Day 07: Upper Pisang to Manang (3500m) 6-7 hrs. Day 09: Manang to Yak Kharka (4110m) 4-5 hrs. Day 10: Yak Kharka to Thorong Phedi (4600m) 4-5 hrs. 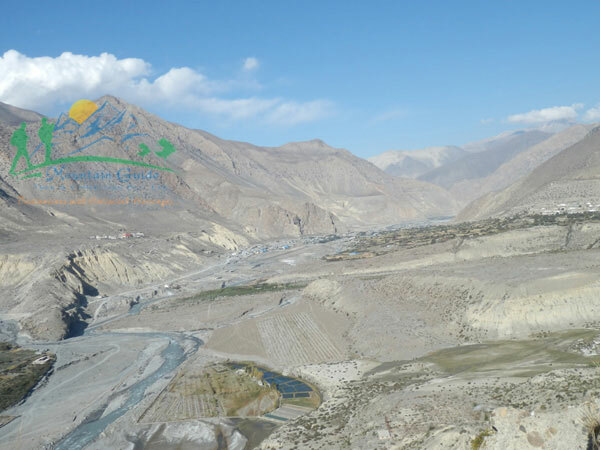 Day 11: Thorong Phedi to Muktinath (3800) 7-8 hrs. Day 12: Drive Muktinath toTatopani (1200m) 6-8 hrs. Day 13: Tatopani to Ghorepani (2850m) 7-8 hrs. Day 14: Ghorepani to Tadapani (2710m) 6-7 hrs. Day 15: Tadapani to Ghandruk (1940m) 4-5 hrs. Day 16: Ghandruk to Pokhara 4-5 hrs trek and 1 hour drive. Day 06: Chame to Pisang [3,300m]: 5-6 hrs. Day 07: Pisang to Manang (3500m) 6-7 hrs. 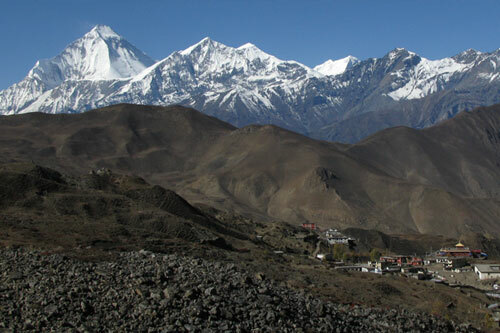 Day 11: Thorong Phedi to Muktinath (3800m) 7-8 hrs. Day 12: Drive Muktinath to Tatopani (1200m) 6-8 hrs. Day 16: Ghandruk to Pokhara 4/5 hrs trek and 1 hour drive. Today is last day in Nepal for this trip; you are saying good bye to the mountains as journey in Nepal, comes to an end today, There is nothing to do but trade emails with travel companions and organize the photos. If you have more time you can do some shopping or sightseeing. Approximately 3 hours before the scheduled flight a representative from Mountain Guide Treks will take you to the airport. 3 night's hotel accommodation at Kathmandu in deluxe hotel on BB basis. 1 night's hotel accommodation at Pokhara in tourist standard hotel on BB basis. "Farewell dinner" before a day your departure from Nepal. 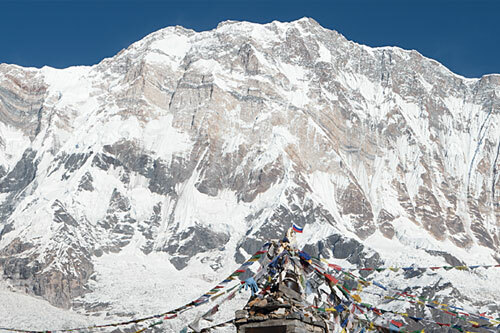 An experienced English-speaking trek leader (trekking guide), assistant trek leader (4 trekkers: 1 assistant guide) and Sherpa porters to carry luggage (2 trekkers: 1 porter) including their salary, insurance, equipment, flight, food and lodging. Note:- Cost includes and exclude section may give you better idea on how the trip is organized. Once you let us know the number of interested traveler and departure date we would get back to you with actual cost for the trip. 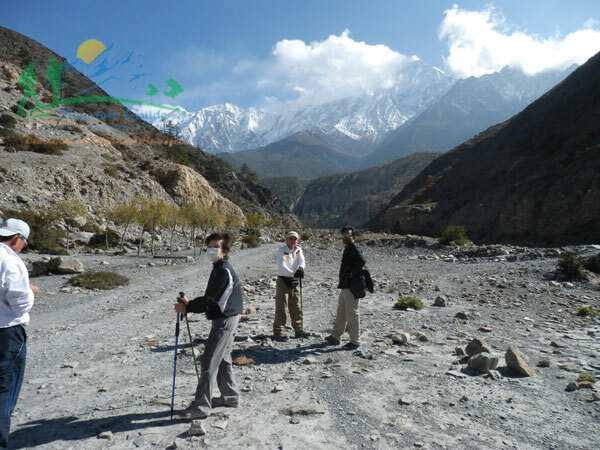 The following is a list of clothing and accessories that we recommend for Annapurna Circuit Trekking Nepal. This is not intended to be a comprehensive clothing and equipment list; rather it is intended to act as a reminder of those items that we are feel necessary for your comfort and convenience. However we recognize that you may have your own personal preferences for clothing which may be equally as suitable. Light or warm fleece hat. Note: If the above schedule does not meet your requirements, we can design individualized travel plans based on your preferences. 10 to 19 people in a group, there will be 15 % discount in total cost and 1 group leader free of cost.